Papadosio has a sound you’ve probably never heard before, unless you’ve heard them before, ya dig? The group was formed in Athens, Ohio and consists of members Anthony Thogmartin, Mike Healy, Robert McConnell, Billy Brouse, and Sam Brouse. Athens is a place close to myself and my friends hearts as many of my close amigos go to OU and some of the most memorable nights of my life came together there. The beauty of that place can be genuinely felt in their music. I’m not sure how to describe their talent; as a group they are some of the most incredible musicians I’ve ever heard. Their rhythms will penetrate your body and force even the most uncoordinated of listeners to dance (feverishly at times). Electric piano and synth sounds ease their way into the brain and relax the listener while somehow making me consider lofty questions like why am I here? What is my relationship with nature? How are my relationships with other people? What about my relationship with myself? I listen to this album and I am reminded what it means to be a human being. I’m not trying to be cliche, but these guys are that good. Give it a listen for yourself. 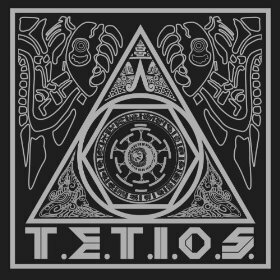 This song comes from their newest album To end the Illusion of Separation (TETIOS). What a beautiful sentiment. It immediately made me think of great minds like Alan Watts and Carl Jung who teach that separation is a trick of the mind. We are all intrinsically linked to each other and this universe we inhabit. What’s brilliant is these gents have taken those ideas and put them into a pure musical form. They include sections of spoken word, like at the beginning and end of ‘Method of Control’, that elucidate their take on these concepts. What impressed me the most was the number of different genres represented in the two disk set. Elements of rock, trance, jazz, reggae, and trip-hop all make themselves apparent (to name a few). All of these seemingly different types of music become one on this album. As a group Papadosio is known to jam out, extending the live versions of each song by many minutes, a true display of musical ability and passion. On that note, seeing them live is a must. They are INTENSE. Check out this video of them performing ‘We are Water’ live and you’ll get a taste. The album as a whole is upbeat and positive. Drums and electric piano push the pace (perhaps best exemplified by the song ‘Ear to ear’), while the vocal harmony ensures the music is melodic and soothing. Trip-hop is good descriptor for their aggregate style and many of the songs from this album, like ‘We are Water’, but as I explained earlier labeling the genre of this album would be limiting it. There’s just so much going on the whole time, it’s an all out assault on the eardrums. They’ve added a unique piece of art to accompany each song, allowing the listener to see, hear, and feel the music. For those of you who really dig synth, tracks like ‘Monochrome’ absolutely kill it. The synth refrain on this one reminds me of Pokemon (specifically that shady casino in Goldenrod). If that reference was too out there, which I assume it was, just listen for yourself! Don’t stop with this song much less this album, but pick this up ASAP as they just dropped like it’s hot. 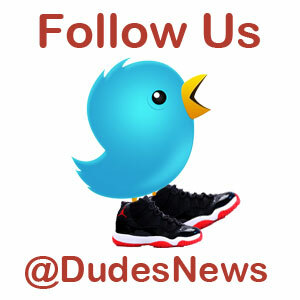 If you’d like to grab it we’ll make it convenient for you, follow the link below.